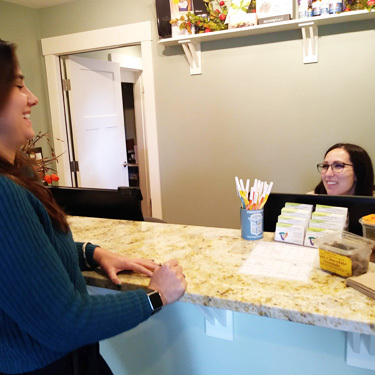 When you walk into Atlas Chiropractic, Massage and Wellness Center, you’ll love our welcoming office. It’s truly family friendly. Your children are welcome to your appointments. Come as you are – from the office, just out of the gym, off the jobsite – there’s no need for special clothing or preparation. 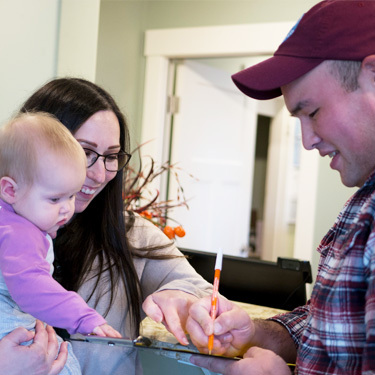 Our 1920s Craftsman-style home has been recently remodeled, with you the patient in mind. 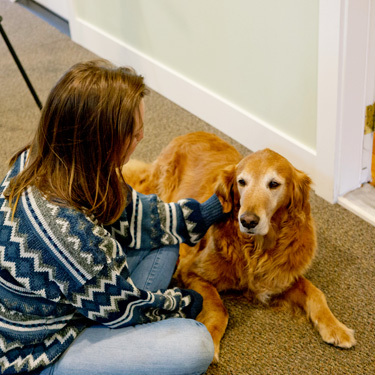 We feature a comfortable reception area, and our office is ADA compliant, with a designated handicap parking spot off the alley, behind the building, and ramp for accessibility. 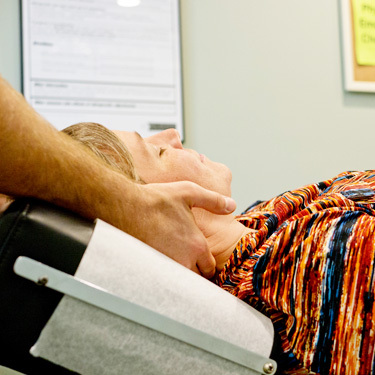 Our chiropractic tables and massage tables can accommodate those where mobility is an issue. We offer an open concept adjusting area with individual bays for privacy. Dr. Andrew will spend between 30 and 45 minutes with you at your initial appointment. If more time is needed we will be available. Together, you’ll talk about your health history and complete a physical examination. If appropriate we’ll take X-rays in our on-site facility. Then, we’ll have you schedule a follow-up. When you return, Dr. Andrew will give you a full report of his findings from your examination. He’ll show you your X-rays and where the problem is located, as well as discuss a recommended plan of care. You’ll get answers to all your questions, including the financial-related ones. 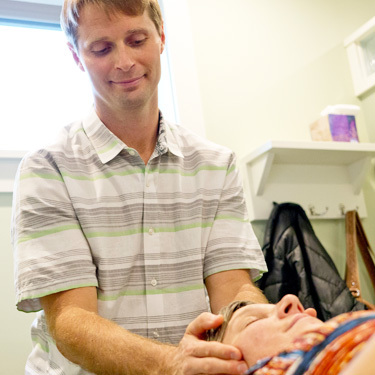 Most people receive their first chiropractic adjustment on this visit, which takes 30 to 45 minutes in total. Your subsequent appointments will be quicker, taking about 15-20 minutes each. Why Might X-rays Be Necessary? 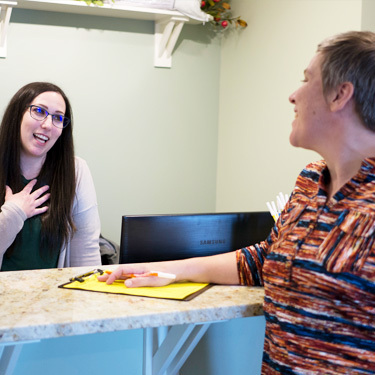 Plain and simple, we strive to provide the best possible care that we can for you. 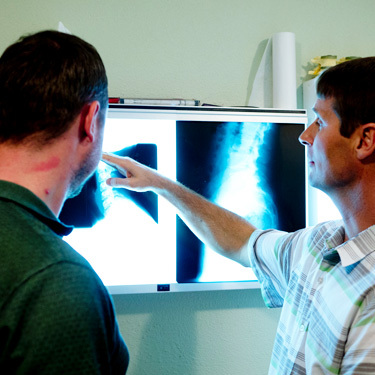 X-rays allow us to rule out contraindications to care and the care we are providing for you is better when we know exactly what we are working with. Contact us today to schedule your appointment! Same-day visits are available.